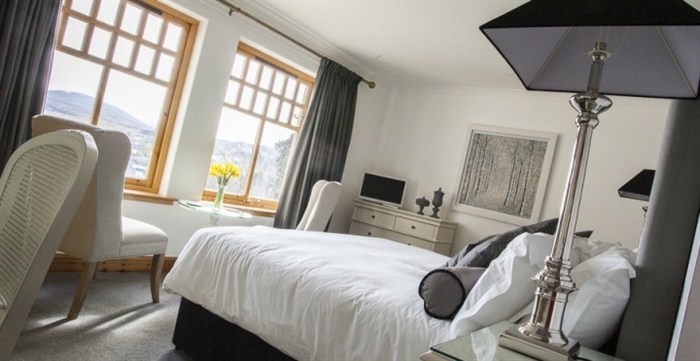 New for 2014, Sutherlands Guest House offers our guests luxury accommodation and dining in the Highland village of Kingussie, within The Cairngorm National Park. 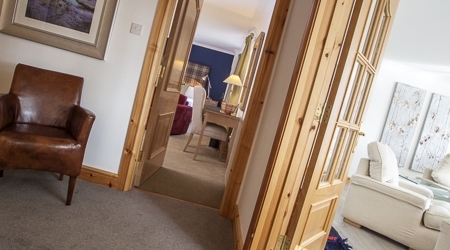 We have three suites and one ensuite bedroom available. 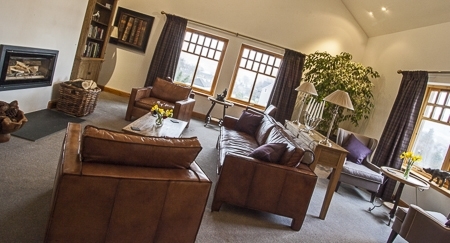 Furnished to the highest standards, our guests can choose from either the formal lounge or television lounge, both of which have bright south east facing large windows overlooking Kingussie, Historic Ruthven Barracks, Strathspey and the Cairngorms. 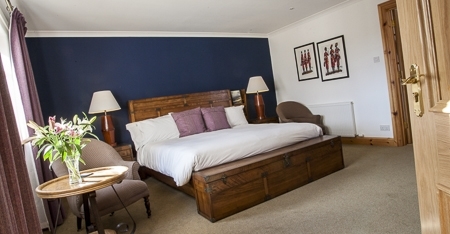 Our four en-suite bedrooms have superking beds (one room can be twin) and a range of facilities with those little extras that would befit the luxurious surroundings that Sutherlands has to offer. A three course evening meal , using fresh local produce, is available to guests but it is advisable to be booked in advance. Adequate off road parking is available as well as secure storage for motorbikes and bicycles.